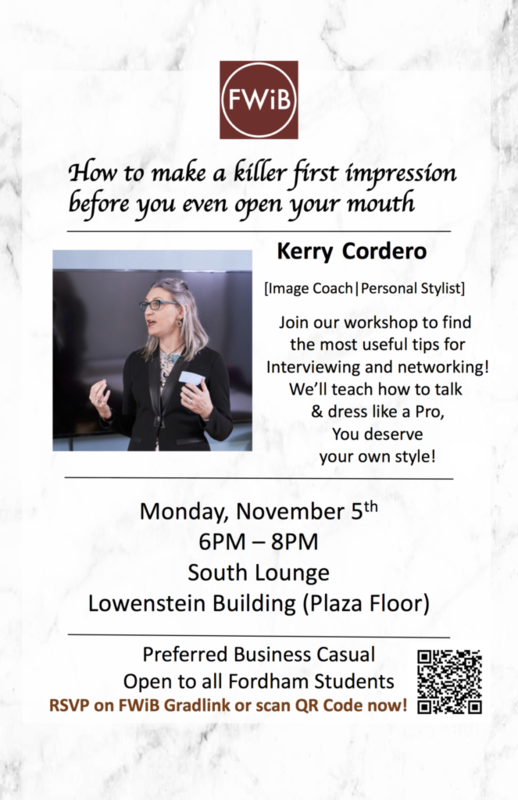 I’m excited to present at Fordham University in New York City on making a killer first impression in professional settings. Style is one of the first and best ways to show off your professional skills and express your personal brand. While this workshop is open only to Fordham students, professional presentations are one of my favorite ways to empower leaders to put their best foot forward in the workplace. I’d love to work with you!